Eric Ayuk was an interesting prospect when he joined the Union in 2015, but he hasn’t played for the team since making one appearance in 2016. The Union parted ways with winger Eric Ayuk on Tuesday, selling him to Turkish second division club Osmanlispor. There was no transfer fee paid in the deal, but if Osmanlispor sells Ayuk on in the future, the Union will get a 15 percent cut of that fee. That could be a consequential amount of money. Because new sporting director Ernst Tanner still hasn't moved to Philadelphia yet due to visa paperwork delays, Union technical director Chris Albright handled the team's side of the negotiations, keeping Tanner in the loop along the way. "He's been made aware of everything that's been going on over the last month and a half [to] two months," Albright said. The 21-year-old Cameroon native was an interesting prospect when he joined the team in 2015, playing 28 games that season. But he only made one appearance in 2016, and hasn't suited up for the team since then. He was loaned to Swedish club Jönköpings Södra last year, and played for Cameroon at last year's under-20 Africa Cup of Nations. This year, he has played four times for Bethlehem Steel. "I think he's got some qualities and some fight in him and some athletic ability that you can't teach," Albright said. "I think teams recognize that, and recognize that he is still young, and he hasn't finished his development by any means." If Ayuk is able to make the most of his time in Turkey, he may well attract higher-level suitors. Osmanlispor gets a fair share of attention in Turkey, even though they were relegated out of the first division last season. The club is based in Turkey's capital Ankara, and will soon open a new stadium. A few weeks ago, Ayuk was close to joining a bigger Turkish club, Trabzonspor. So close, in fact, that he reportedly completed all the necessary medical exams and was ready to sign a four-year contract. But the deal fell apart at the last minute. Albright acknowledged Trabzonspor's interest, and said that club was "dragging their feet a bit" in negotiations. "An opportunity presented itself at a different club where Eric might actually get a little bit more playing time," Albright said. "We thought it was a better opportunity, and went in that direction." 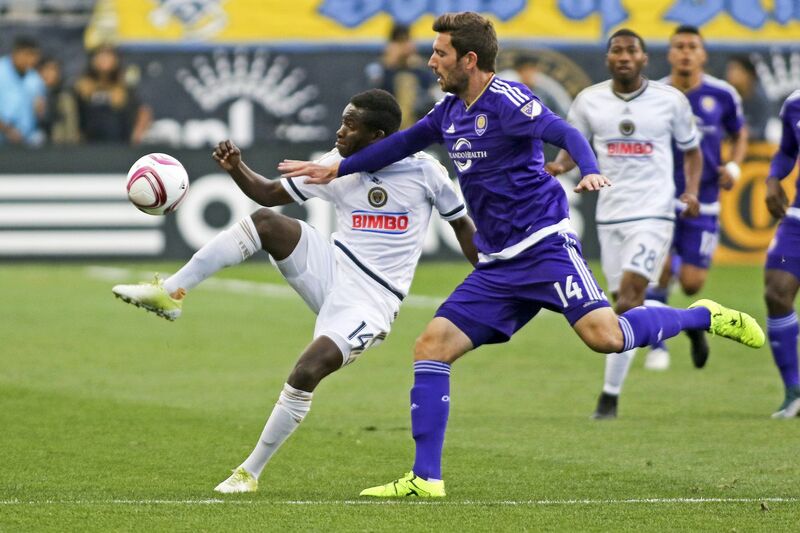 Now that the Union have a roster spot open, will they make a late-season addition? It would be tricky, but not impossible. Because MLS' transfer window for incoming players is closed, any signing would have to be a free agent or from within the league, and would have to be done by the Sept. 14 roster freeze deadline. "We're always tempted to do something," Albright said. "We'll see. We still have a little bit of time.